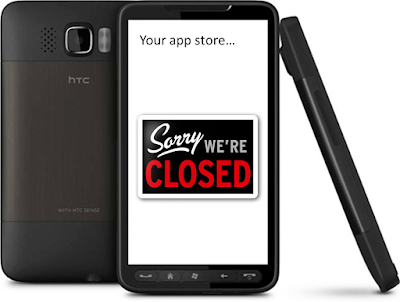 The windows 6.5 marketplace closes its doors shortly, which is a first, but what does it mean and what can a provider, handset manufacturer, mobile operator and OS provider do in these circumstances? Firstly, I did look at the 6.5 marketplace as part of my page on the windows phone market place review and decided to leave references to 6.5 out as they muddied the water on what is a great 7.5 marketplace. Windows does not upgrade, or so far has not upgraded handsets with new versions. Presumably this is for political reasons, so as to not do the same with the Core OS, however I think this is wrong, as a) it makes mobile a subset of the desktop OS, rather than the great mobile product it is on its own two feet today, and b) mobile is a sufficiently different market. While MWC 2012 saw telecoms.com say that mobile OS had become a commodity, we are still a long, long way from people buying an OS for a device separately, despite some people choosing their OS for certain devices on XDA developers dot com. So the simple answer would be for Windows to upgrade their devices to Windows 7.5 where possible. This may not be possible physically or politically from 6.5 to 7.5, but would be well advised for windows phone 7.5 (Mango) to windows phone 8 (Apollo). As a minimum, this would mean allowing the work of those who Microsoft have acknowledged and approved the work on porting windows phone 7 and 7.5 to devices like the HTC HD2, to at least make these official, even if it is for a modest fee. This would not only be wise politically, but also strategically, as many of these devices can load Meego, android and more; if you want to facilitate this base upgrading to a Microsoft phone rather than migrating to android, then this is the way. HD2 users who are still using an HD2 will most likely know how to or know someone who can swap OS, or deploy side loaded (unofficial, unsigned) apps via an official side-loading enabling from Microsoft (subject to usual caveats) for windows 6.5, which gives an easier option for all, but it would be nice for that to be official. Let's look at it another way, the reality of the Ovi experience is very different on a Nokia C7 than on a Nokia X6, to the point that I do not use Ovi on my Nokia X6 (relegated to sat nav phone!) but I do on the more engaging Nokia C7, N8, etc. Nokia could easily drop Ovi on the X6 and maybe nobody would notice. This raises another point, Nokia have brought out the Nokia 808 pure view on Symbian; how long do they plan to support the app store for such a device, I would expect at least two year, however a 42mp phone that is built like a "proper Nokia" could last much longer than that - my e72, N95 8gb are still great phones I could still be happy with 3+ years after launch... then there is the amazing Nokia N9 on Meego, how long will the app star, by Nokia's own CEO's admission now an essential part of the phone ecosystem be supported? The answer may be different and brings be back full circle, as the N9 is open and can count on open support, the N808 to some, but lesser extent, the same. Windows phone 7+ is already engaging developers and support that will allow it to "live on" beyond official closure, but what about 6.5? 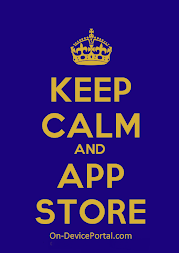 The reality is that the app store was never such an essential part of the ecosystem back then when it was purchased for this to be a huge issue, but that does not mean by any stretch that this can be the same case moving forward: the app store is now an essential part of the ecosystem - so remember: the app store is a strategy for the long haul!